Only sell the holder,don't included drone. The item can installation at both ends with LED lights,you can connect 1/4 inch size screws and nuts fixed. The item can installation a sports camera or a 360 degree camera,let you can shoot more comprehensive,more beautiful picture. 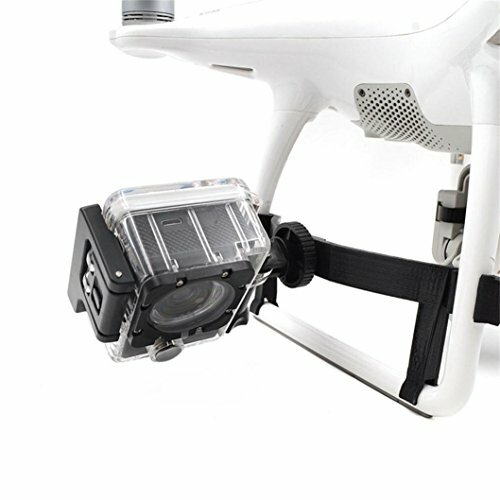 3D printed easy to install, the use of flexible,not only save you a lot of time and space,suitable for DJI Phantom 4,but also use 360 degree camera shooting. The use of fixed above the way, high safety performance, will not easily fall, damage to the phenomenon, take off and landing more convenient,you can rest assured to use it. The item collocation the conversion head with 1/4 screws and nuts can be a variety of accessories with,to achieve more expansion features.